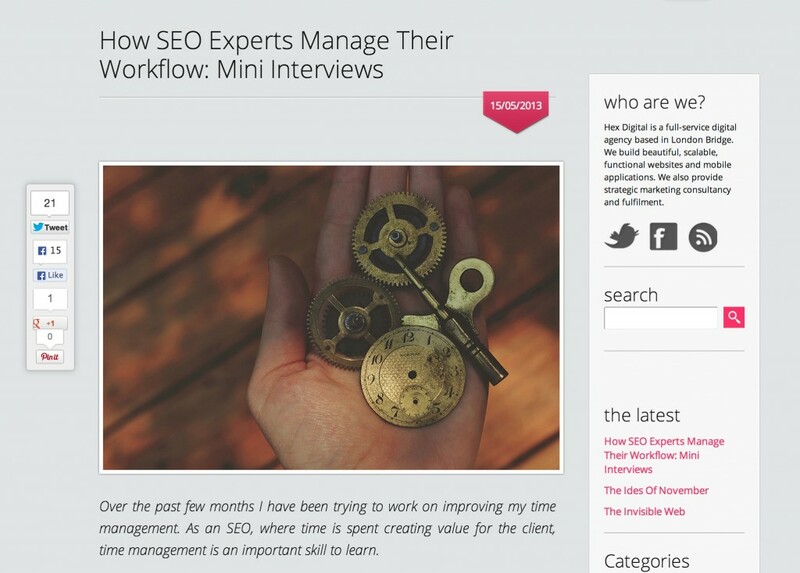 Last week, my first ever SEO-related interview was published on Hex Digital’s blog, a UK based digital agency. How do you allocate your time during a typical work day? What tools do you use to manage your projects and workflow? What SEO tools do you use or recommend? What is your main focus when you are working on SEO? How do you allocate your time for personal branding and company branding? Enjoy! Big thanks to @LucyKirkness for asking me to take part!